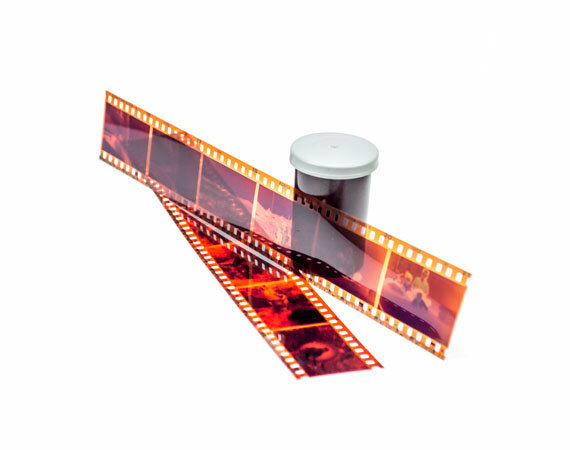 Negative film is the most common type of film used in 35mm cameras. This film uses a light sensitive chemical to darken section of the frame where light is exposed through the lens. This allows the film to quickly capture the image in a camera and produce a quality result compared with earlier forms of still photography. While negative film stores a high quality vivid image, viewing a negative or developing a print is nearly impossible, since film labs have gone the way of the 8-track machines. Los Angeles Video Transfer Service can help you relive these images by digitizing them. Before we begin the process, we clean each film strip. Our process creates the best possible exposure for each image, providing you with high quality digital pictures that you can cherish for years to come!